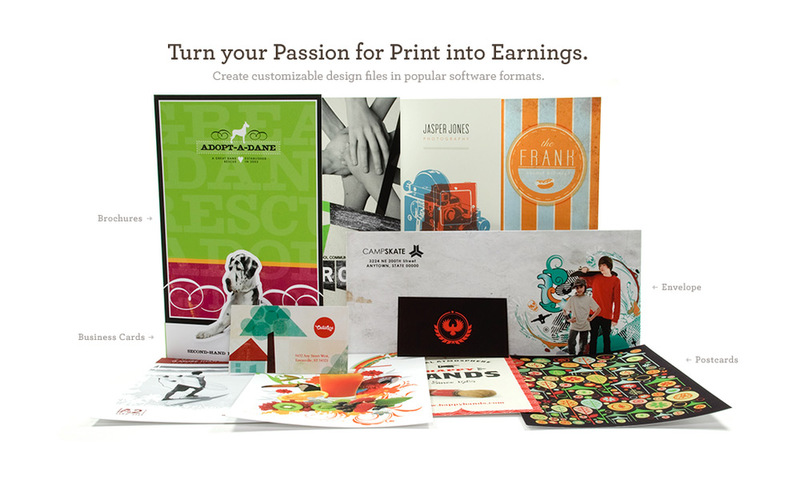 Brand identity, product marketing, and product design for an online marketplace. 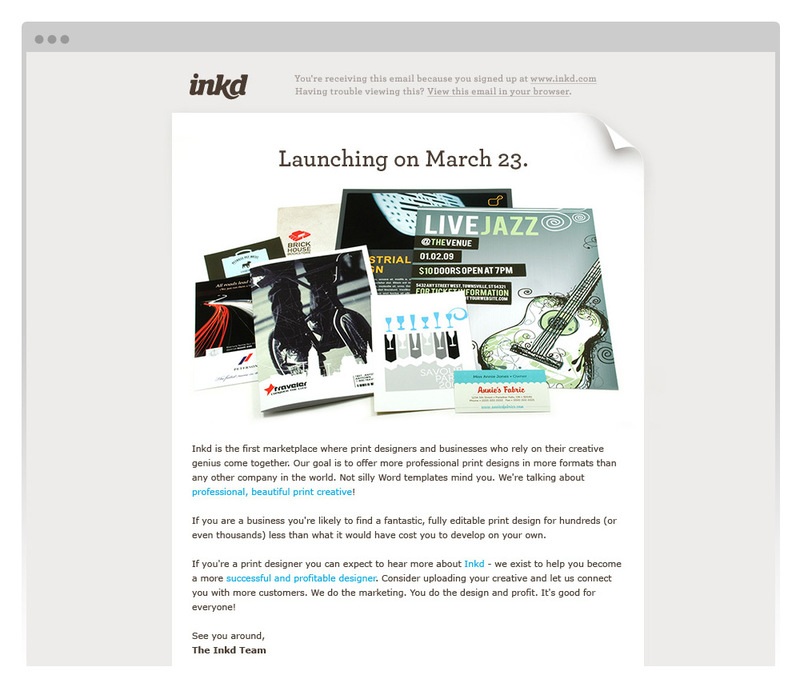 Keith helped build Inkd, a marketplace for “better print templates” aimed at small businesses, from the ground up with its founders. He art directed the photography of products, designing the visual identity, website, and all consumer–facing touchpoints as well as backend systems. Keith also helped with copywriting, information architecture, and marketing efforts. Keith insisted on printing and photographing each template. He selected, composed, and photographed groups of templates in a photo booth he built from scratch in the Inkd office. 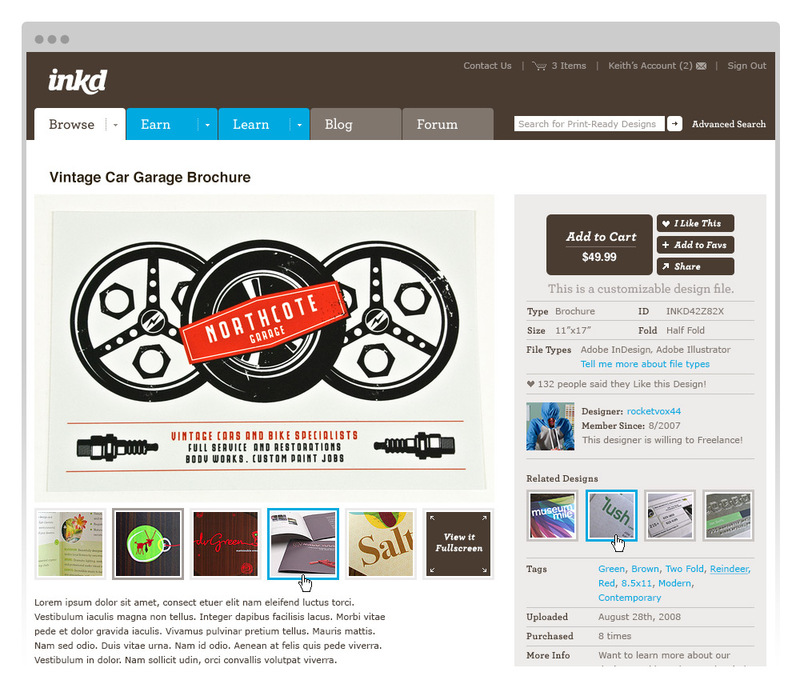 The end results were much better than Inkd’s competitors, who utilized only digital previews. These photographic compositions translated nicely into hero imagery for the website. 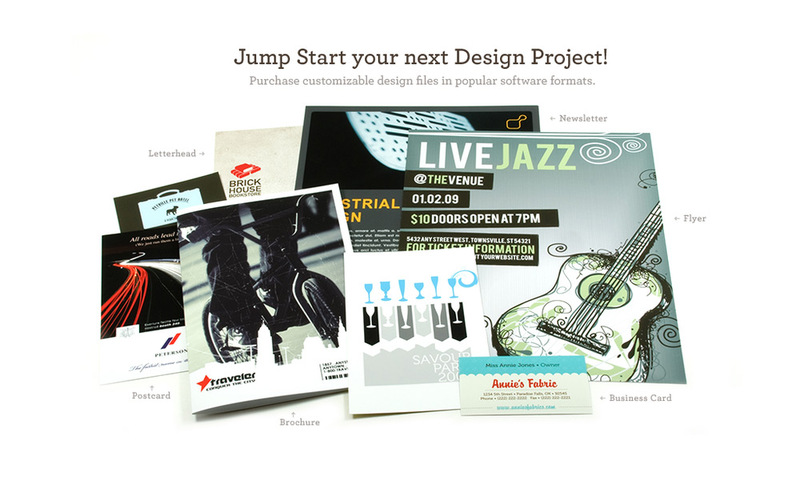 Each composition was utilized in a different capacity, to carry the story of the brand across all major touchpoints. 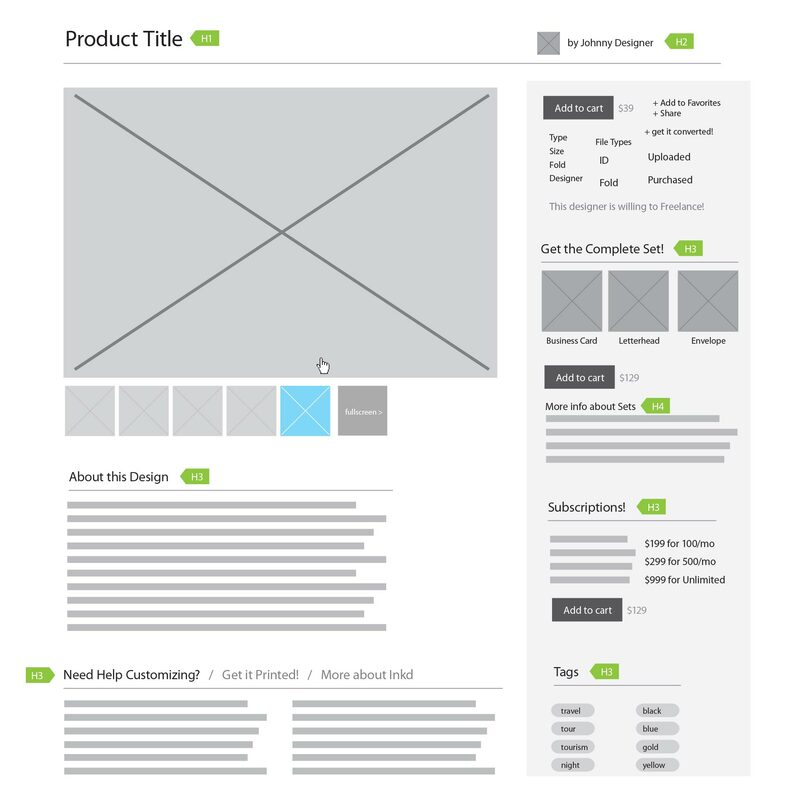 Keith developed wireframes for all major pages of the website – function before form. 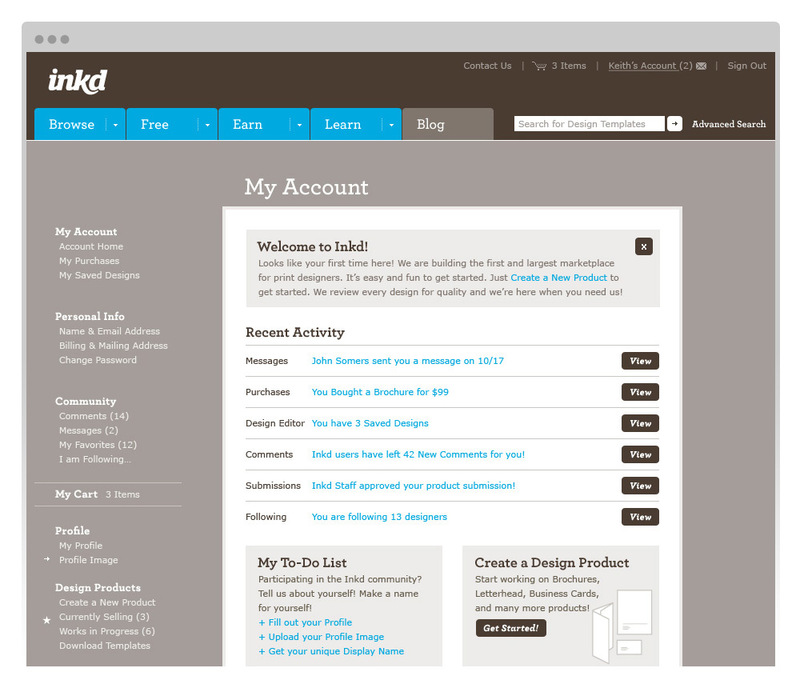 Example of a product detail page. 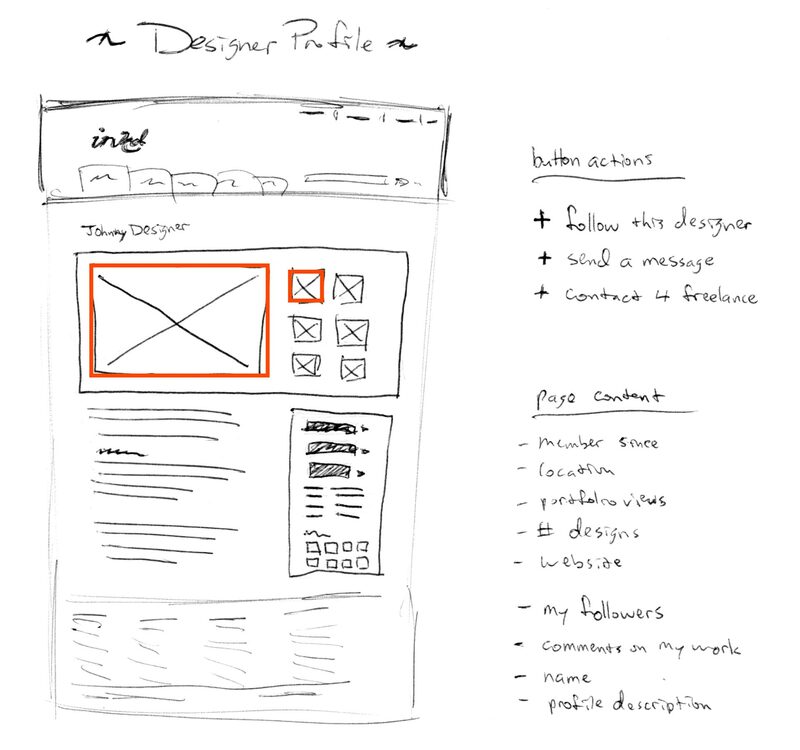 Keith helped develop the information architecture and user experience for account administration, from brainstorming to sketches, wireframes, and final design. 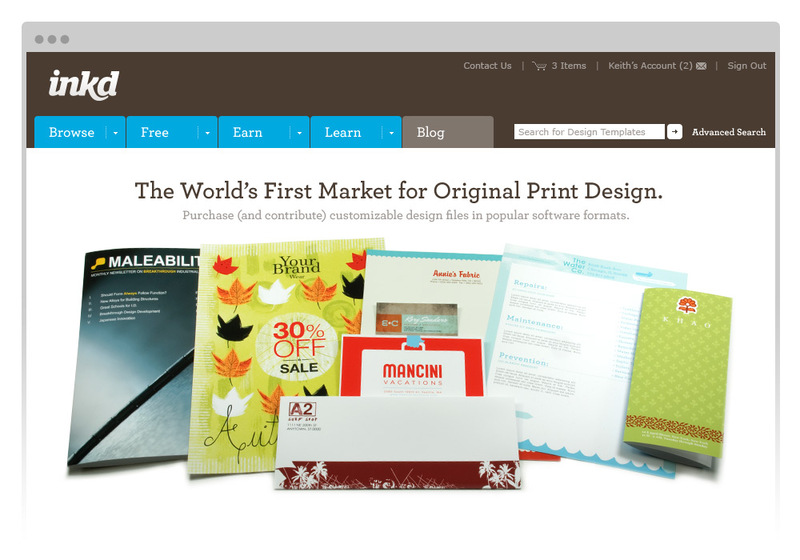 The resulting pages were easy to navigate and worked well for both customers and contributing designers. 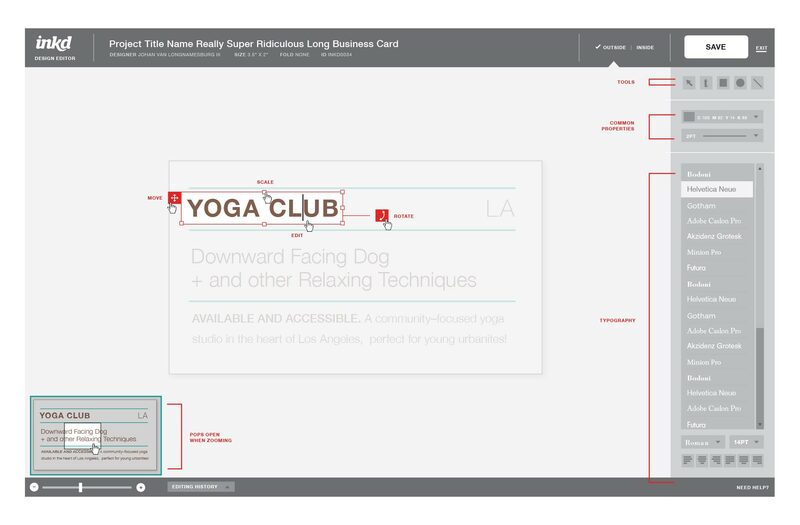 Keith helped conceive the plan for an online template editor, so that customers could easily modify templates without having to ever leave the browser. 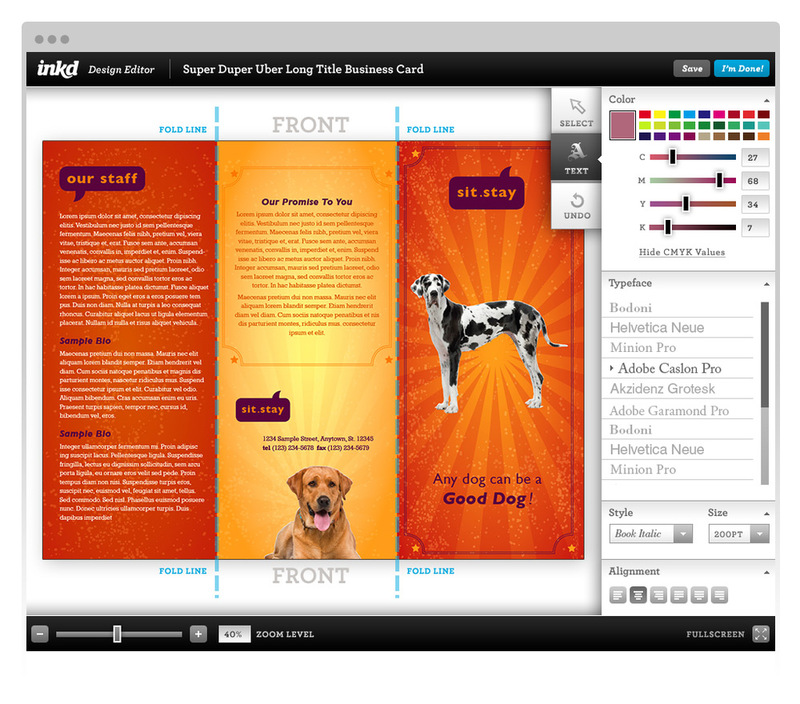 The end result was a simple editor in which the user could edit template files directly within the browser.